Size of this preview: 800 × 598 pixels. Other resolutions: 320 × 239 pixels | 640 × 478 pixels | 1,024 × 765 pixels | 1,280 × 956 pixels | 2,592 × 1,936 pixels. 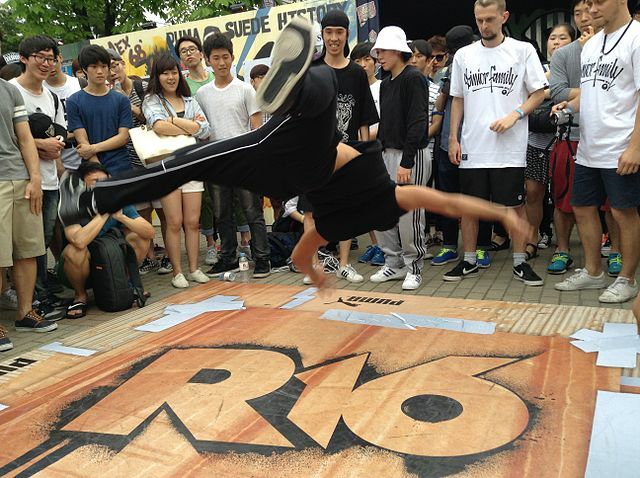 B-boy in a cypher at R-16 2014. This photo was uploaded via Mobile iOS 1.0.10.